This worksheet is designed for pair work (but can be changed to one on one or a bonus if needed). 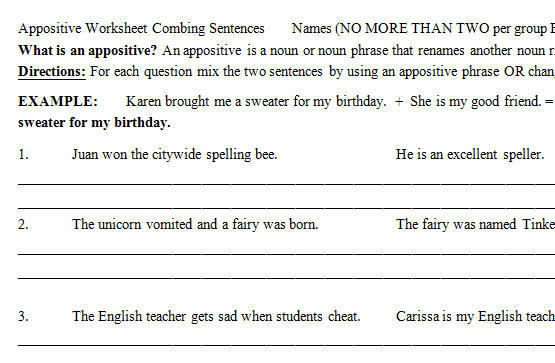 The first sentences have students combining two different sentences with appossitives. 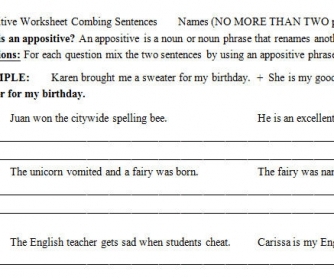 The last few have students taking sentences with relative clauses and re-wiritng them to contain appositives. Examples of answers are on the second page, but as with most English writing assignments there are many possibilities.